Identity theft is one of the fastest growing crimes in the United States and in many cases the victim has no knowledge of the theft until the situation is dire. Even then, most people have no idea what to do to get their lives back or how to regain their good reputation and finances. Mari J. Frank, an attorney and identity theft expert—herself a victim of ID theft—gives easy to follow directions that empower victims to undertand and implement every legal step necessary to reclaim their identities and wipe every tainted record clean. 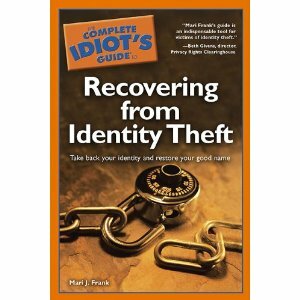 This book gives victims some hope and shows them how to create a successful, organized, proven plan to effectively deal with every type of identity fraud. Covers every kind of identity related fraud including bank, credit card, loans, insurance, medical, government, tax, professional license, business, employer, and online. Provides a step by step process to reclaiming identity and wiping the records of theft off all consumer databases and reports.